A D K Building Services Ltd - Driveways/Patios/Paths based in Gosport, Hampshire. ADK Building Services Ltd are a professional paving and landscape specialists. 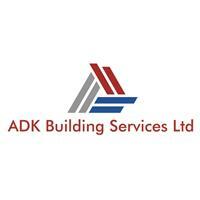 ADK Building Services Ltd is a subsidiary of our successful commercial groundwork and paving company. The Director Andrew King has over 20 years’ experience in the industry. All staff are fully trained and experienced and work closely with you to achieve your desired look and design. All estimates free from our helpful and friendly staff. Our driveways are installed with correct drainage as required to comply with all planning laws. All are driveways and patios our laid using quality materials.